Ortlieb's classic seat bag is available in three sizes, depending on the type of tour. The small version with 49 cu.in. is an excellent fit for road applications, while the medium is perfect for mountain bikers. Size L is a true alternative to carrying a backpack, providing room for equipment, snacks, extra shells and tools for long day tours. It tucks in nicely under the saddle, and often functions as protector on bikes without fenders. The additional fixation with Velcro around the seat post provides firm and vibration-free mounting. The 100% waterproof roll closure features buckles and D-rings for locking the bag. The mounting set is also available as accessory. Hi there, would you say this is big enough to stuff my Gabba jacket in? The cm dimensions seem very small, but 1.3 litres should be big enough as I can just about squeeze it into a litre jug! Thanks for your help. 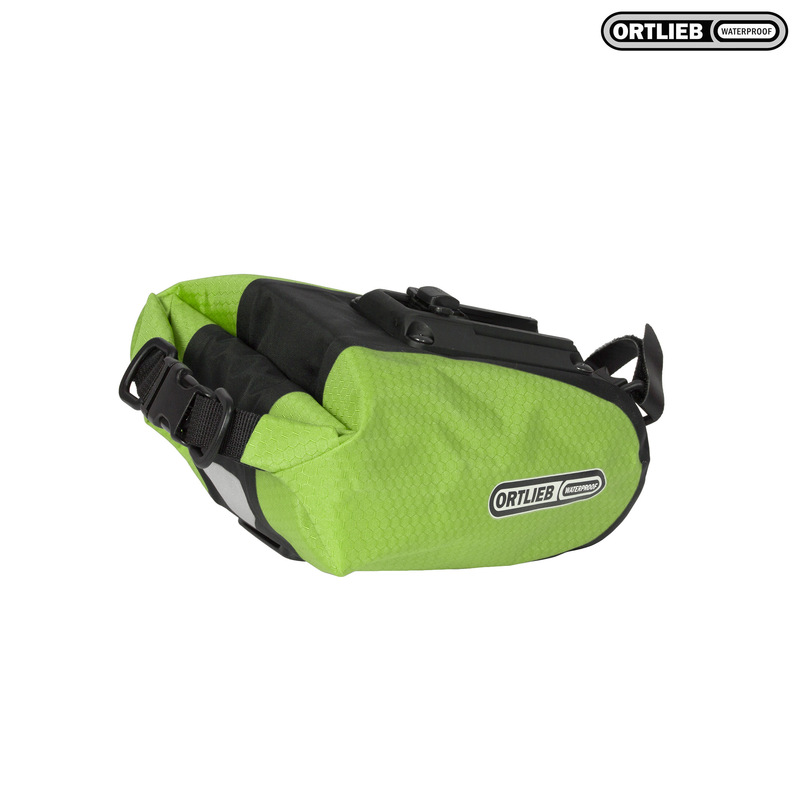 This Ortlieb bag should have sufficient space for you to be able to stuff your jacket into it.